Apart from Christmas, Halloween is one of my kids most anticipated holidays. The excitement of deciding what costume to wear and, wondering how much candy they will get to bring home. I think I enjoy these things just as much as my kids but, my main concern is safety. My job as their parent is to make sure that their Halloween is not only fun but, safe as well. 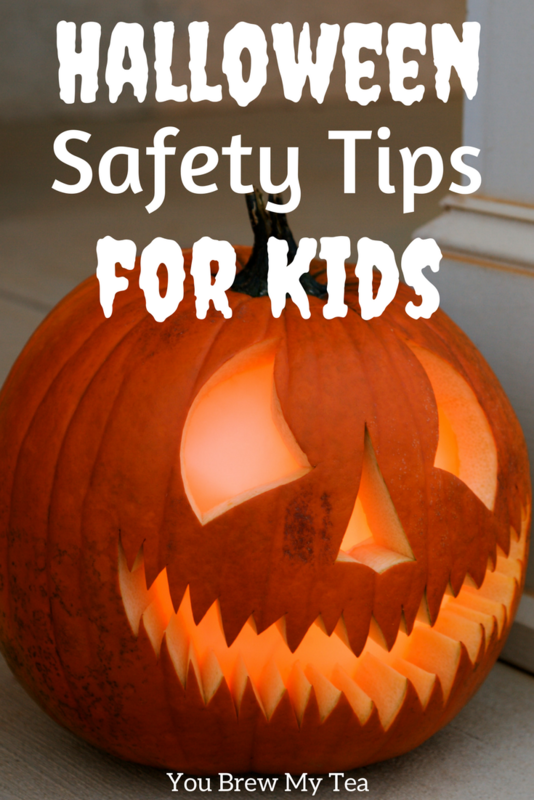 Knowing how to Make Halloween a Safe Experience for Kids is a must for any parent. 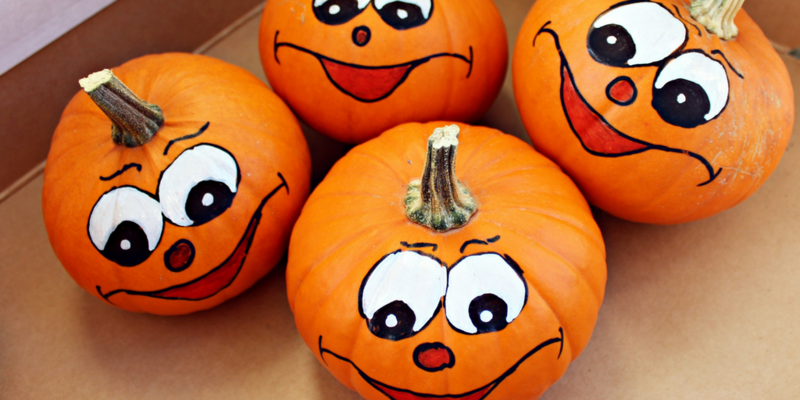 After a few years of enjoying Halloween with my kids, I have some great tips to share! Getting ready for Halloween is tons of fun. We love looking at all of the great costume ideas, and of course, creating fun decorations. There are so many ways to make this sometimes spooky holiday a lot of fun for the whole family! Below, you will find some of my favorite tips for how to make Halloween a safe experience that the entire family can enjoy. Many costumes come with masks. Masks work okay during the daylight as long as eyes, nose, and mouth are not hindered in any way. However, come nightfall, depending on the type of mask that is provided with the costume it may become very hard to see. For my kids, we use the masks during the day time trick or treating events. Come Halloween night, we use face paints to recreate the masks. This way their eyes, nose, and mouth are not hindered at all. The Snazaroo Face Paint Kit is a great option that has tons of colors and plenty of paint to do the entire family of faces. Capes and dresses are also popular for many costumes as well. I fully support wearing them but, to be sure your child is safe while wearing them be sure that they do not touch the ground. If either of these touches the ground your child runs the risk of getting their feet caught in them and tripping. Trim or hem them if needed, and when going out after dark, you may want to include some reflector tape to keep it visible. This is a tough one for us. Especially for my daughter. I have always pushed for her to wear tennis shoes no matter what her costume but, the battle is not always an easy one. Heals become hard to walk in on uneven surfaces. Open toed sandals pose the risk of something you didn’t see because it was dark getting stuck in them. To keep my kid’s feet safe and comfortable we only wear tennis shoes even during the daytime Halloween events. Several costumes that children choose are darker colors. This is fine during the day but, once the sun goes down they become very hard to see, for both you and cars that happen to be on the road. To keep them visible you have a few options. This is especially helpful with costumes that have capes. You can easily add it to the bottom of the cape without changing the appearance of the costume. This can also easily be used on any costumes that have a hat. Adding a strip or two to the back of a hat will also help visibility. Another place you can add reflective tape is to both sides of your child’s candy bag. This is a favorite in our house. We go a bit crazy with them come Halloween. My kids typically have a bracelet or two on each arm and 1-2 necklaces as well. We do our best to coordinate colors with their costumes so it looks as if it is supposed to be with the costume. So, the year my daughter was a princess she got a glowing tiara, a necklace, and a glowing wand. All of these complimented her costume. There are tons of places to buy them inexpensively, but this glow stick pack on Amazon is a great deal with multiple options. I highly suggest that Mom or Dad carry a flashlight with them as well. This has come in handy many times. The streets may have street lights but, you never know if a couple will be burned out, leaving you on a very dark road. Once kids get to the point that it is no longer needed (or wanted) for an adult to be with them while trick or treating they need to be reminded that they are not invincible. Make sure to have a safety talk with them every year. Remind them they are not invincible and to always be cautious while out. I also suggest setting a curfew with them. These are a few of the ways our family makes sure that our kids are safe during Halloween. It may take a few extra steps to get their costumes ready but, it is well worth it in the end. All of these things together should make sure that you and your kids have a safe and fun Halloween. Make Halloween safe for your whole family and enjoy a great holiday that allows you to dress up for fun! 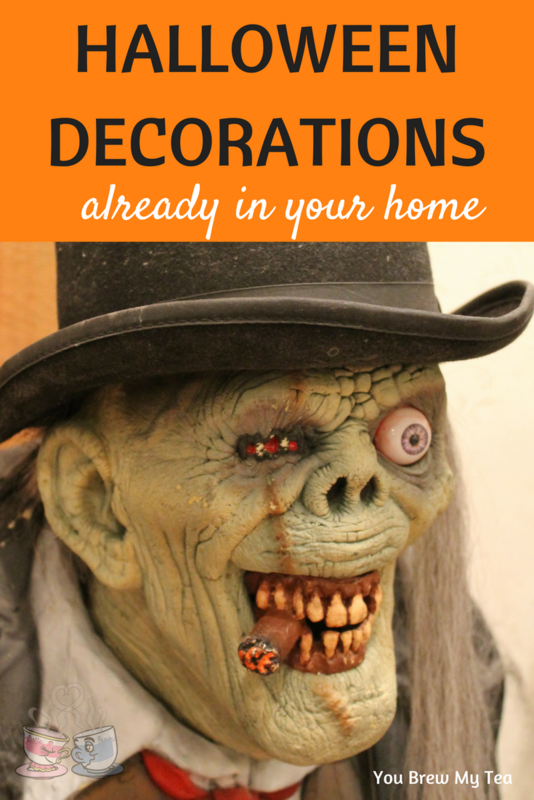 Decorating for Halloween can be so much fun but, also can get pretty expensive pretty quickly. Plus, the Halloween Decorations seem to mostly be on the larger side. Who wants to store those?? The best thing you can do is decorate with things you already have. This way they don’t take up any extra room. This post contains affiliate links from Amazon. We may earn a small commission on purchases made via these links. This list will show some amazing Halloween decorations that you didn’t know you had on hand already! 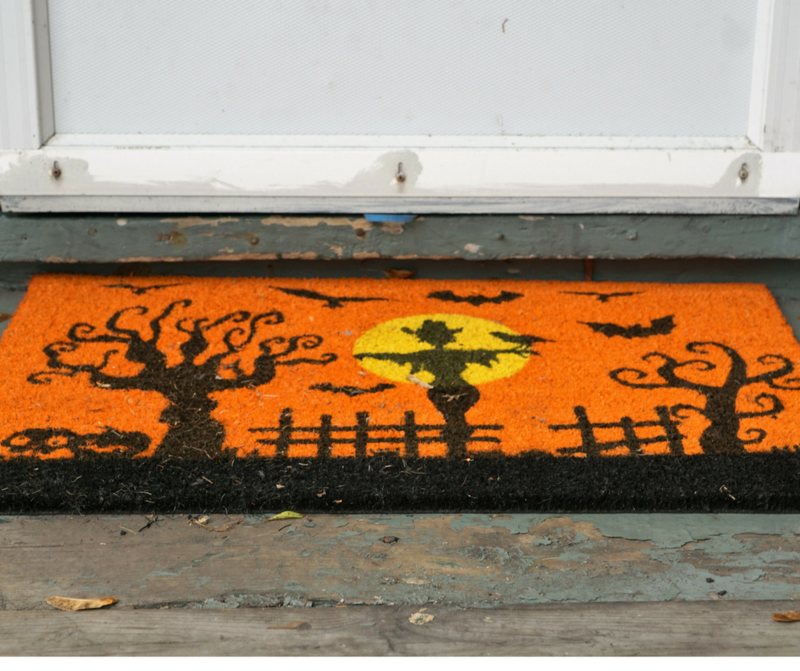 Make a list and start grabbing the items that fit your needs to create some fun Halloween decor for your home! We all have clothes that we just don’t wear anymore or, that our kids have grown out of. Take advantage of that and make a few scarecrows or yard props. With little effort, you can have lifelike Halloween Decorations. Simply stuff them with old newspapers or straw and you are done. Plain white socks make perfect ghosts. You can stuff them (just the toe of the sock) with Kleenex, tissue paper, newspaper or other fabric scraps. Use a rubber band or string to tie it shut so your stuffing doesn’t fall out. Grab a permanent fabric marker and draw your ghostly face on it. Use fishing line to hang them so it gives the illusion that they are just floating there. These make perfect porch decorations. This one is super simple. Once your bedsheets start to thin or, even get holes in them, don’t toss them in the garbage. They can be used to toss over fence posts or smaller trees to make ghosts. Colored sheets work great for bits and pieces of kids costumes as well! With card stock or paper, you can easily make window decorations. Whether you print them off or you (or your kids) create them on your own, this is probably the easiest way to decorate for Halloween. I love these Easy Spinning Ghosts that you can make in minutes using the paper you already have on hand! These can be used to make eyes peeking out of your bushes. The paper towel rolls need to cut in half. Draw your eyes on it, cut them out. Add a glow stick on the inside. Place it inside the tree or bush. A perfect upcycled Halloween decoration. 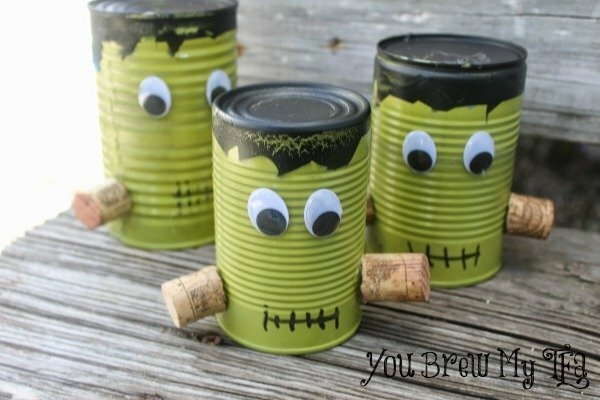 We are big fans of upcycling and recycling, so this is perfect to go alongside our Frankenstein Tin Can craft idea! Almost everyone has a box or two waiting to go into the recycling bin. Why not make them useful before you get rid of them. Boxes would make for fun “life size” cut outs, either for your yard or porch. Paint them gray and use as a headstone for a fake cemetery. Spray paint orange and black as a fake jack-o-lantern. The possibilities are endless! Using toilet paper you can wrap pretty much anything up and call it a mummy!! The best part is; if it rips or looks kind of weird it still works. Making mummies is a perfect job for the kids! Get them involved in the decorating as well. These are the huge black ones meant for outdoor garbages. Fill these up with leaves or newspapers that make another great job for the kids and make a huge spider and put in the front yard. Cover a few pool noodles in them for legs and you are all set. It’s amazing how a bit of spray paint and a garbage bag can turn into a new decoration. Markers are a pretty common art supply to have laying around (with or without kids in the house). What do these have to do with decorating for Halloween? Easy! Draw on your windows!!! Regular washable markers draw perfectly on windows and, are pretty easy to clean off when you are done. If your windows are covered you can draw on the outside otherwise it would work best to draw on the inside. Just be sure to draw backwards so it looks correct for onlookers. If you are beyond the years where it is “cool” to go out trick-or-treating with your kids, invite a few people over. Have them dress up and pretend to be lawn decorations. When the older kids come along they can give them a little bit of a scare just by moving. These are super simple and close to free options to decorate your yard and house for this upcoming Halloween season. Plus, it would be tons of fun to watch the kids be startled. As you can see, it’s easy to find some great Halloween decorations that you already have around the house. A few minutes time, some ingenuity, and items you have on hand and you’ll find you have more than enough to make your home look amazing for the holiday! 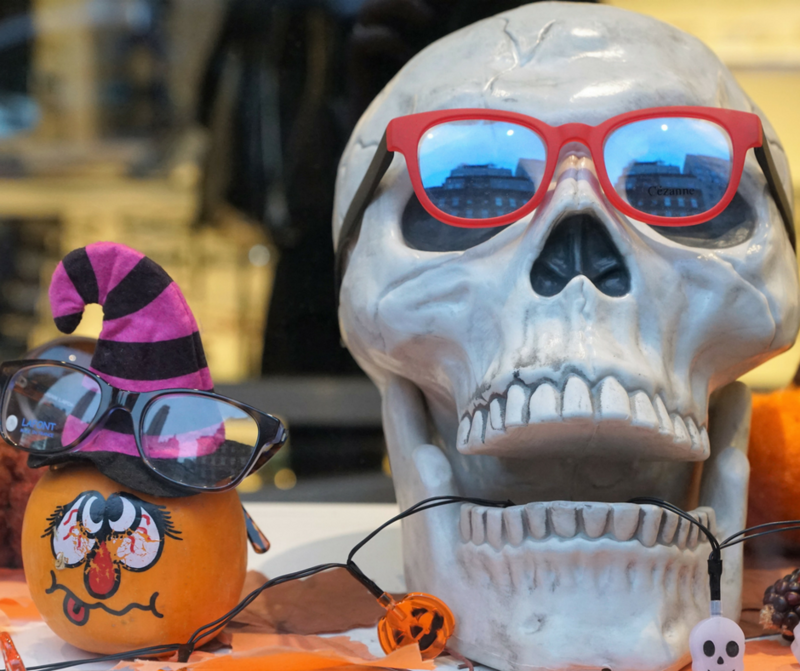 Halloween Costumes are a must for heading out with kids to Trick or Treat this year, but are you using this time to also encourage your kid’s passions? One thing we learned over the last few years with the Wee Child was that dress up time was a great activity he could really express himself with and create something fun. This post contains affiliate links. I may earn a commission on purchases made through these links. This year, Sophia’s Style sent us a costume to try out. Their site has tons of great options for costumes but is also a perfect place to shop for unique, affordable, and gorgeous kids fashions. 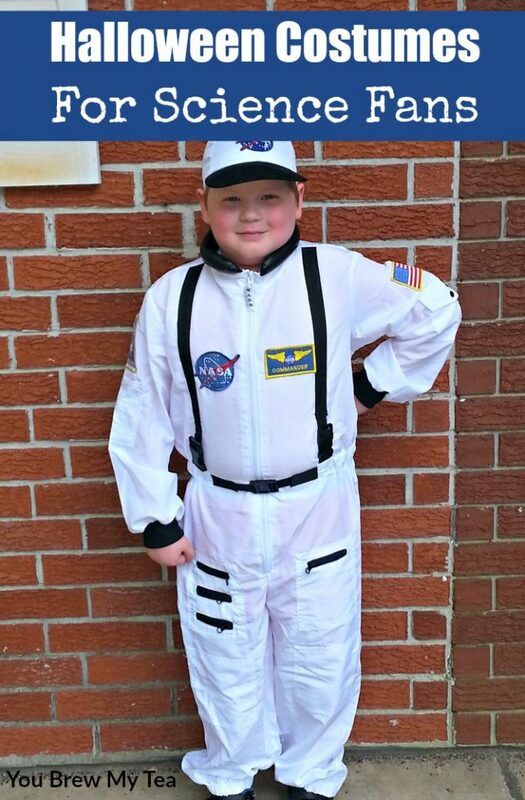 I was excited to have a chance to review a quality Halloween costume from their lineup, and the NASA uniform was the perfect option for our science fan. Thus inspiring our tips for great Halloween Costumes for science fans! NASA Astronaut: The Wee Child loves reading and learning about space exploration, but also all about the rocketry and science behind our quest to the Moon, Mars, and simple missions to the Space Sation. He loved dressing up off and on over the last few weeks and pretending he was in charge of loading the shuttle or even working on his robotics to build tools to create an easier mission. Robotics Engineer: Since we already encourage the Wee Child in his love of robotics, this would be another great option for him to dress up as this year. Sophia’s Style has a cute and fun costume for this, too! Add in a simple tool belt with things like bolts, screwdrivers, lead wires, and such to create a fun robotics costume. Scientist: The fun lab coat Sophia’s Style has is another awesome choice to really get your kids excited about varied Halloween Costume options. It’s labeled as a rocket scientist, but it can be used for a chemistry teacher, doctor, or any type of scientist you can imagine. Load up with protective goggles, a plastic beaker, and a notepad and your child has a super fun idea! Mechanic: Many people don’t realize that being a mechanic is one of the best science ideas ever for your kids. Mechanics are basically engineers. They have to use the tools in front of them to put a puzzle together and make something work. What’s not to love about that? Encouraging your kids in mechanics is just another area of the STEM arena! This year, you can help encourage your kids in the field of science and STEM with these awesome Halloween Costumes ideas from Sophia’s Style. Check out all of the fun costumes and dress up ideas that Sophia’s Style has in stock not just for the Halloween, but year round! Over the years, we have almost always made costumes. 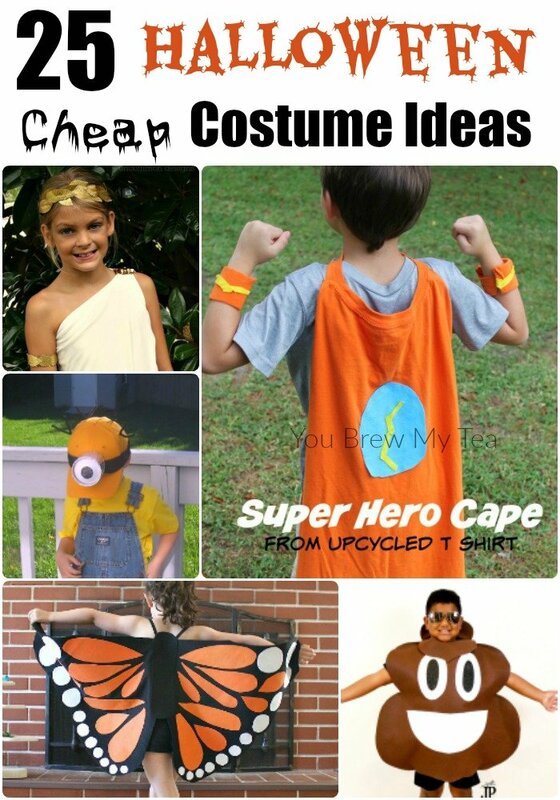 This list of Cheap Halloween Costume Ideas is perfect for finding a super fun and easy costume to make for your kids. Not only are they cheap, they are mostly seriously easy to make. I love that most of these costumes use everyday items ou probably have in your home. 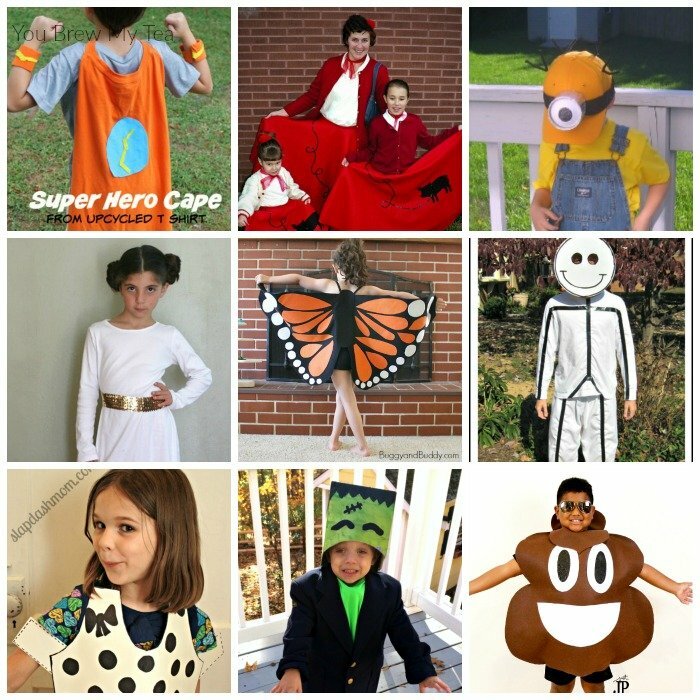 From an upcycle t-shirts to craft paint, you can create tons of unique cheap Halloween costume ideas that will have your kids thrilled to dress up this year. Now that you have the best cheap Halloween costumes ideas on hand, you can focus on fun things like crafts or even hosting your own haunted house and party! 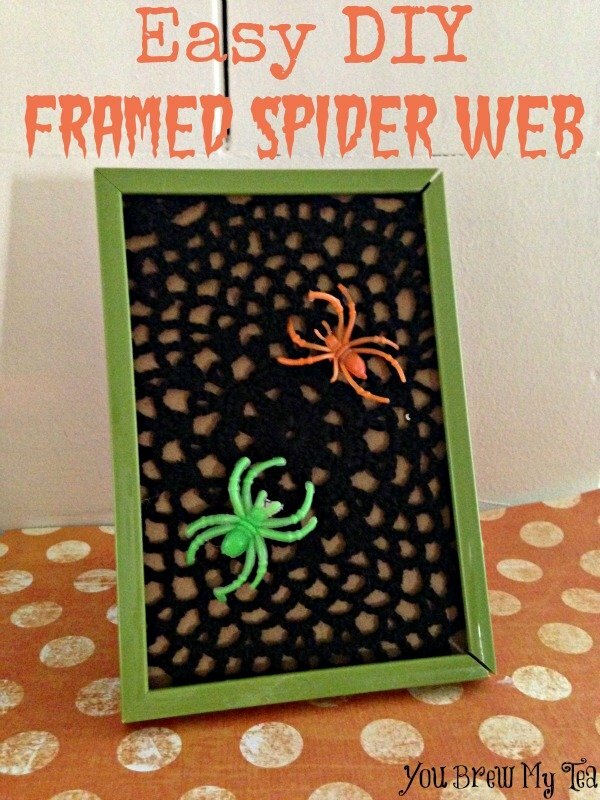 I love doing fun crafts for the holidays, and that includes Halloween. No party would be complete without some spooky accessories! Or you can take the time to make these fun Frankenstein Upcycled Tin Cans for your porch rail, mantle, or entry way! If you need more inspiration, you can check out tons of great ideas on our friend Savanah’s blog. She has 50 Spooky Halloween Ideas that include games, treats, and more! For more fun ideas, check out her list of 400 FREE Halloween Printables! Gather up some fun and spooky decorations and get started planning your next Halloween party. This list of Cheap Halloween Costume Ideas is just what you need to make it affordable and fun for the whole family. With kids, teens, and adult costumes on this list, you’ll find something for everyone. Enjoy the spooky evening with tons of fun, food, and laughter without breaking the bank! Check out Where I Party with other bloggers sharing great recipes and crafts! This Free Printable Halloween Word Search is a great way to build your kids vocabulary and word recognition. It’s tons of fun to give fun things like this to your kids to complete as an extra school activity in your homeschool classroom. 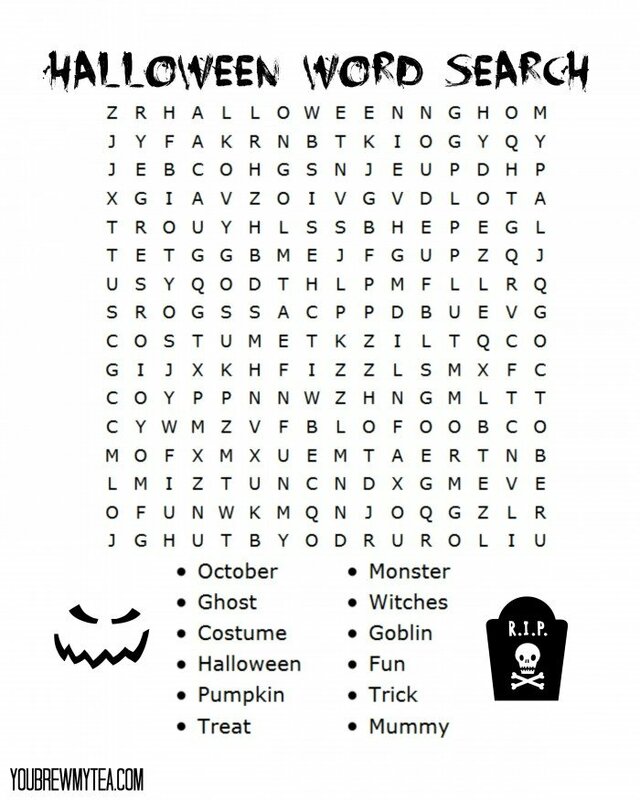 This word search is even more fun since it is a Halloween themed one. The Wee Child is in 3rd grade, and these words were easy for him. 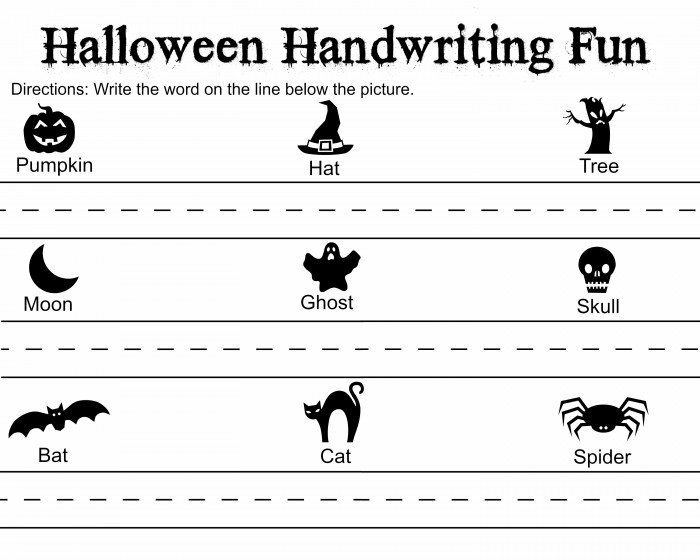 They are definitely a great list to go with the Halloween theme in your classroom. Grab this Free Printable Halloween Word Search here! This is a great fun activity that will keep your kids occupied while teaching them some fun new words. Include this with your regular vocabulary lessons, or just as a fun activity to do on a weekend! Check out our other fun free Halloween printables!